Jeanette Murphy's latest album ‘Defining Moments’ has been described as an eclectic mix of genres and song ideas varying from a simple jazz or acoustic folk song, to powerful indie rock tracks with a full band line up of bass, drums, electric & acoustic guitars and keyboards. The acoustic tracks feature guest players on Banjo, Fiddles and Bodhran from South West Londons' Irish Sessions, who Jeanette frequently plays with and who kindly agreed to perform on her album. 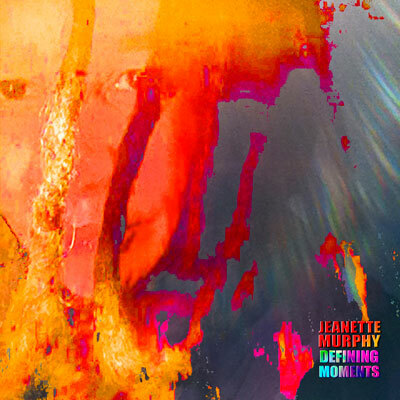 ‘Defining Moments’ is the latest album release by Jeanette Murphy and contains 11 original tracks. This album is rather special for Jeanette, as it is the first album that she has actually produced by herself, with the assistance of some top class sound engineers Adie Hardy at UNIT 2 studio and producer Steve Rispin at LISCOMBE PARK studio. The album features a strong selection of talented musicians who have been performing with Jeanette over the last few years, including: Steve Gee - bassist (Landmarq), Paul Haydon on drums (Junkyard Dogs), Saal Seneviratne on keyboards, Pete Belsham on Lead Guitar and special guest players on Banjo, Fiddle and Bodhran from South West London’s Irish music sessions. WE NEED HELP PROMOTING THIS ALBUM! Promoting and getting the album out and heard by the public is never an easy thing. Even less so, if you're an independant/solo artist such as myself. We're looking for music magazines, publications and radio stations to play and review the album and single releases and plug them as much as possible. If you're interested in reviewing the album or know of anyone in the industry who could do so, or have any suggestions or contacts please get in touch or pass on our info and links to them. Would you like to get involved yourself in some way and have knowledge in areas such as marketing, merchandise or experienced tour management etc? We'd welcome your support. Released in October 2014, 'Defining Moments' has taken Jeanette over a year to complete and features a strong selection of original tunes written by Jeanette Murphy and recorded with the assistance of a group of truly talented musicians and who are now also members of the band. Clare O'Leary on Fiddle (track: 'One'). Drums and Bass were recorded 'live' at UNIT 2 STUDIO, London over a 3 day period in November/December 2011, the tracks then taken back to Close Studio for overdubs, lead and backing vocals and additional instrumentation. 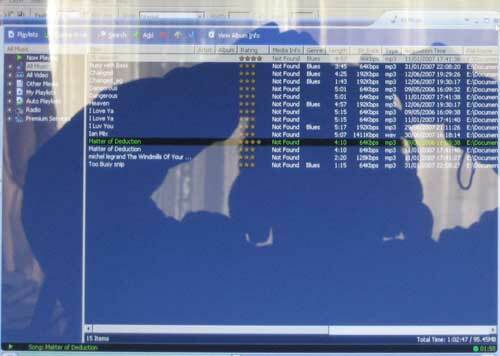 Once the tracks were ready for mixing, we took them to LISCOMBE PARK STUDIO, Bucks and mixed most of the album with the assistance of engineer/producer Steve Rispin, apart from the track 'Greener on the other side' which was mixed at UNIT 2 STUDIO with engineer/producer Adie Hardy. 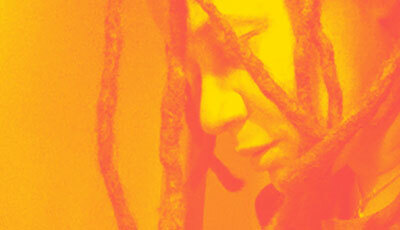 The album was then mastered at RMS STUDIO, London by Andy LeVien. WHAT JEANETTE SAID ABOUT PRODUCING THE ALBUM - "admittedly it's been an eye opening and humbling experience, it was like wearing several different hats, and trying to remember which one to wear at the time! Weirdly I found that instead of taking control, it was more about giving control to others and letting them add their own unique creativity to the tracks - overall on hindsight, I enjoyed the whole experience and although nerve wracking at times, there were some exceptional treasured moments where I felt stunned, blessed and thankful for having such a wonderful group professional musicians working with me. A lot of credit also goes the skilled sound technicians at the recording studios I used, who really helped and gave experienced advice and assistance at key points of the project, especially with the initial drum and bass recordings, mixing and mastering elements - the studios and people were Adie Hardy at UNIT 2 Studios, Steve Rispin at LISCOMBE PARK Studio and Andy LeVien at RMS Studios...".